Official Launch Date 22nd April. For all the Realme fans, happy to share the confirmation that Realme 3 Pro is set to be launched on 22nd April at Delhi University Stadium at 12.30 PM. The company has chosen the heart of Delhi’s young generation hang out the Delhi University Stadium, asphone is fully targeted to the new gen. With host of features as we covered in our previous post , it will still be a budget phone which makes it much easier to afford. 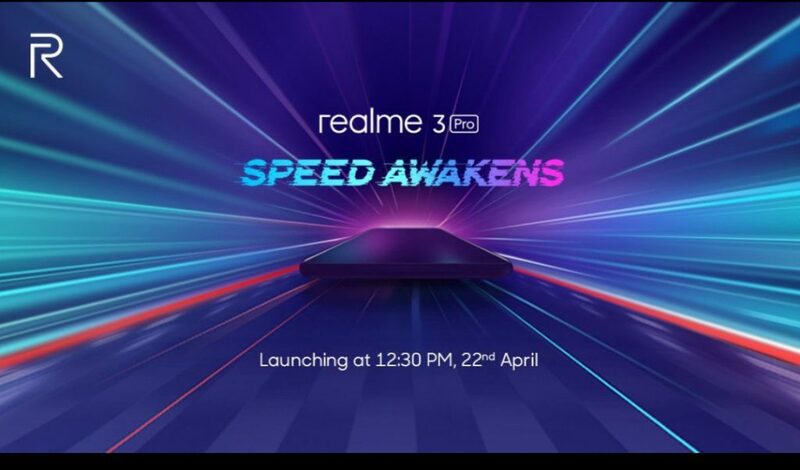 The teaser as shared by Realme’s CEO – Madhav Seth, the focus is on the speed. Which is due to the reason of the SnapDragon 710 processor. In earlier tweets Madhav has also mentioned that the phone is tested for the high end game Fortnight, which as per company’s official word performed pretty well to run the game smoothly. We are all set to go and grab Realme 3 Pro to test it out for our users !! !